Beetlemania is spreading, thanks to M.G. Leonard's bestselling Beetle Boy trilogy. In the books, Darkus learns all about beetles from an old guide his father had used as a child. 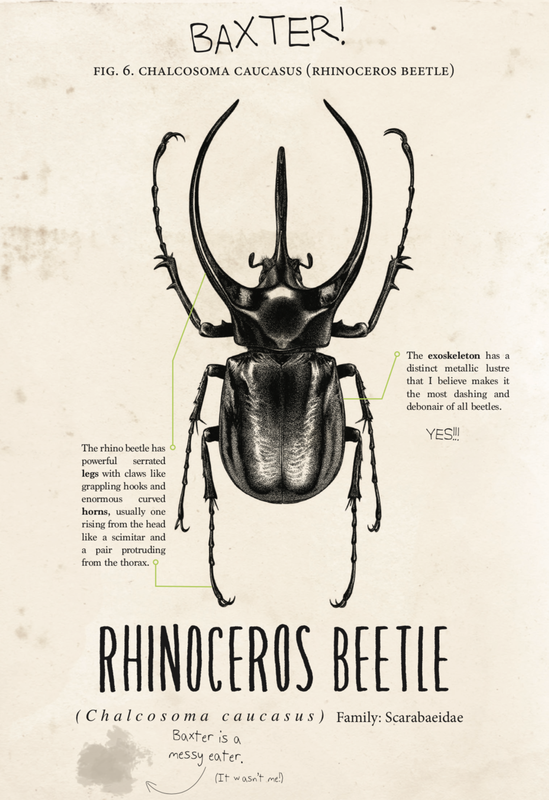 Now that book is available for readers everywhere to discover beetle facts for themselves! Hilariously narrated by eccentric entomologist "Monty G Leonard", this lavishly illustrated guide is the perfect starting point for young beetle collectors everywhere. From scary to weird to jaw-droppingly gorgeous, the 50+ species featured in this book are certain to inspire a lifelong love of Coleoptera. The book features afterwords from Dr Sarah Beynon, the coleopterist that runs The Bug Farm and Max Barclay - head coleopterist at the Natural History Museum. Australia, Canada, Faroe Islands, Poland, The Netherlands, New Zealand, Sweden.